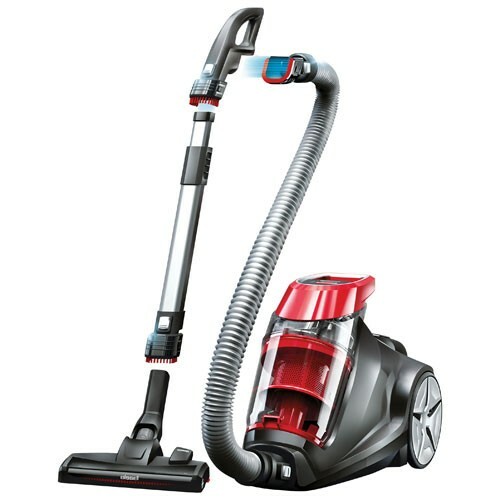 The BISSELL Multi-Surface Expert canister vacuum cleaner combines high suction power with advanced cyclone technology giving you great cleaning performance that lasts. 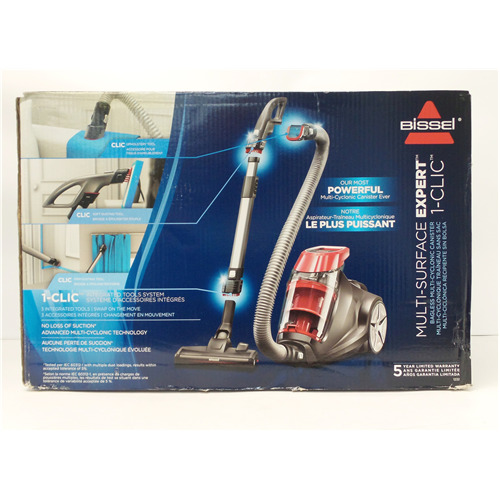 On top of this, the unique 1-Clic system allows you to transition from floor cleaning to surface dusting with the click of a button, saving you time and effort in your cleaning routine. Cord length – 23 ft. Dirt bin capacity – 2.5 L 84.5 oz. Cleaning path – 27.9 cm 11 in. 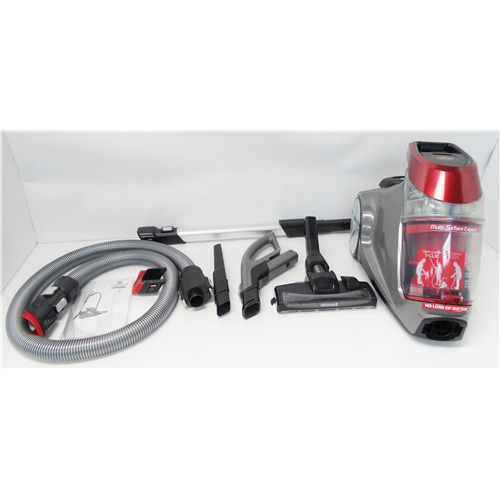 What's in the box: Handle, Hose, Wand, Combination Floor Tool, Soft Dusting Brush, Upholstery Tool, Crevice Tool, Firm Dusting brush and Manual.